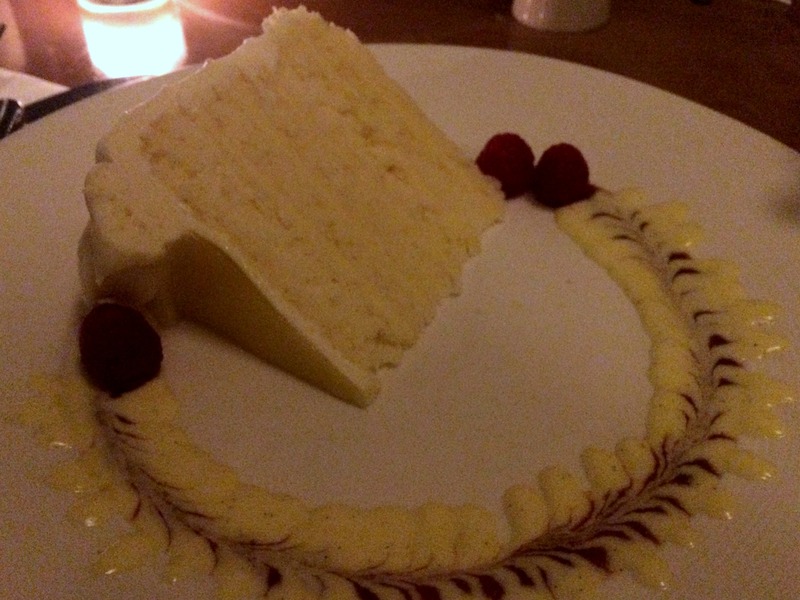 No review of Portland’s dessert scene would be complete without a trip to Papa Haydn. This place has been going strong for decades and even this Sunday night at 9pm, when I stopped in, it was still busy enough that we had to wait for a table. (Although only a couple minutes) While this restaurant is known for dessert, it’s also serves very good food, so it’s busy pretty much all day long for the lunch, dinner and dessert rushes. I was reminiscing while enjoying my cake, that Papa Haydn was one of the first places I ever had cheesecake. My parents took we there when I was in grade school and we ordered a slice of New York Cheesecake. I’m not sure this was the very FIRST time I ate cheesecake, but it was definitely the first time I’d swooned over a piece. They do a spectacular job and won me over to cheesecake forever that night. 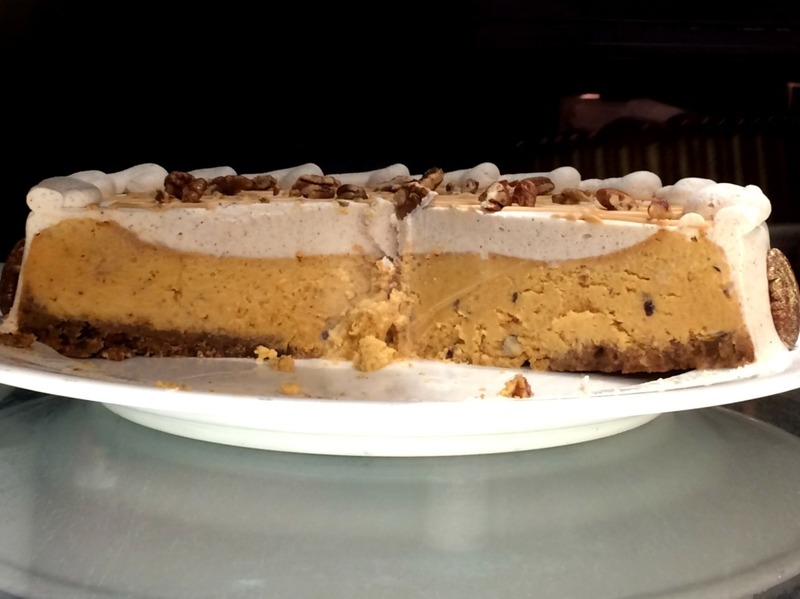 But this week, while I was very, very tempted by their pumpkin cheesecake, I was looking for cake. Luckily, the menu here is extensive, at least two dozen options, more if you count the ice cream flavors and there was plenty cake to chose from. We had to take two visits to peer in the dessert case before we could decide but our party of three went with Lemon Chiffon Cake, Mint Truffle Torte, and Carrot Cake. All of the cakes were delicious. My lemon chiffon was just what I wanted, a lot of cake layered with lemon curd and topped with a lemon cream cheese frosting. It was light and refreshing and I ate the whole thing. 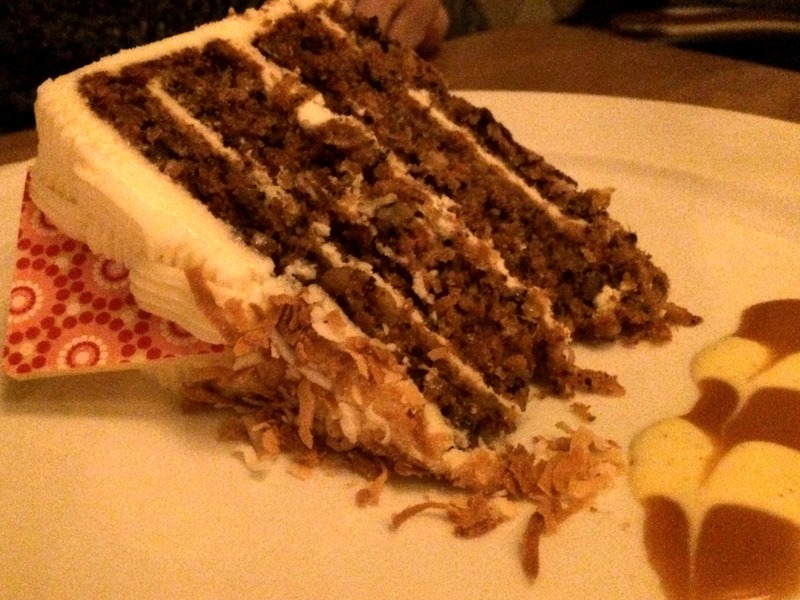 The carrot cake was great too, very classic with walnuts, coconut and pineapple and cream cheese frosting. Finally, the Mint Truffle Torte. 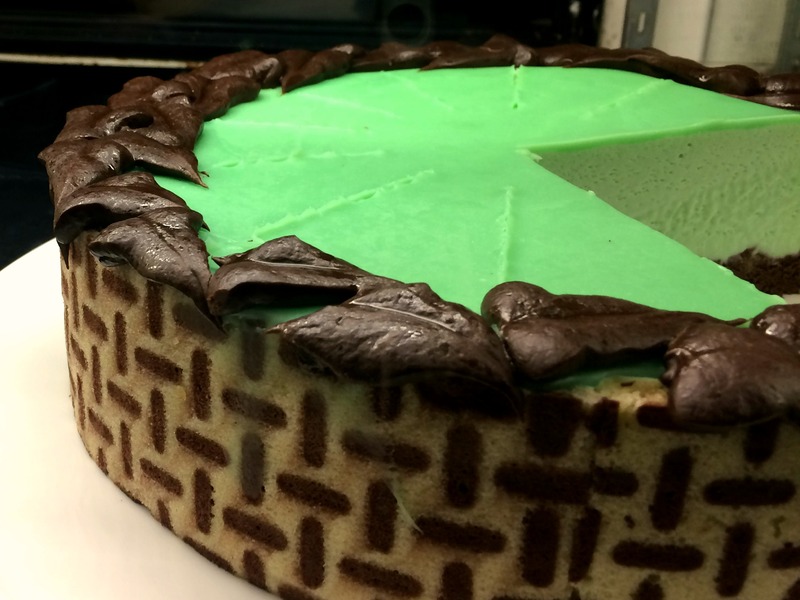 The gorgeous green color won us over, but the flavor ended up being perfect too. It was minty without being overwhelming. This was no peppermint patty, and did not take your breath away with mint flavor. It was creamy and perfectly balanced with the chocolate flavor. Similar to an Andes mint, but more delicate. I read a lot of disparaging Papa Haydn reviews on yelp, “overrated” being the biggest complaint, but I still think it stands tall as one of the best Portland dessert spots. I don’t know if I’d say it’s the BEST, because it plays it safe, but it does set a high standard. I will continue to visit Papa on occasion, but my quest for better continues.